Things haven't been this good at Nintendo for a long time. The Japanese video game maker ramped up its sales and profit forecasts on Monday as consumers race to buy its latest console, the Switch. Nintendo (NTDOF) said it now expects operating profit for the current financial year of 120 billion yen ($1.06 billion), nearly double the 65 billion yen ($572 million) it predicted three months ago. That would be its best performance since 2010 when smash hit devices like the Wii and DS were still selling well. When the Switch went on sale in March, the company said it couldn't ship enough devices to meet the huge demand. Those problems seem to be easing: Nintendo now expects to sell 14 million of the consoles for the year ending March 2018, up from its previous forecast of 10 million. And it's not just the hardware boosting the bottom line. "Super Mario Odyssey" -- Nintendo's latest installment of the gaming industry's best-selling franchise -- released Friday on the Switch to positive reviews. The company also tapped another of its classic titles -- "The Legend of Zelda" -- for the Switch back in April. Nintendo now forecasts sales of 50 million Switch games for the year, up from its previous estimate of 35 million. With the Switch, the Japanese company bet that gamers would be willing to part with their money for a hybrid device they can play both at home and on the move. It appears to have paid off. Analysts expect Nintendo to take advantage of the Switch's success to tap into the widespread popularity of mobile games. Chinese tech giant Tencent (TCEHY) has announced it will release a popular mobile game, "Arena of Valor," for the console -- a big boost for Nintendo. 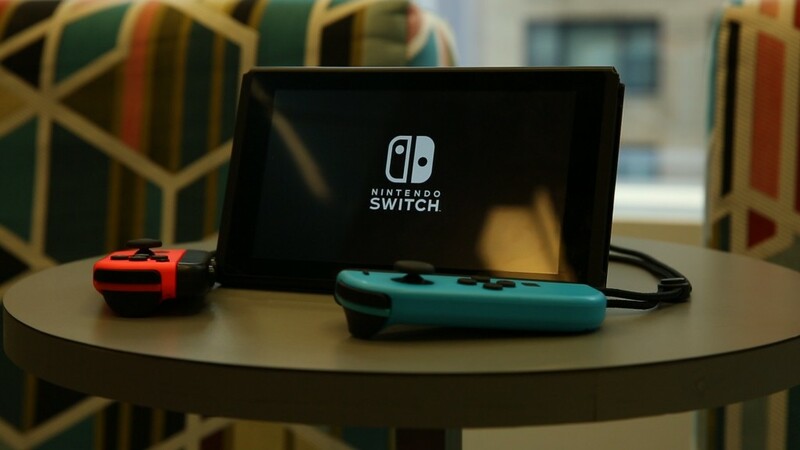 "The Nintendo Switch is at the vanguard of the firm's new strategy," brokerage firm Daiwa wrote in an investor's note on Friday, adding that the console will enable Nintendo "to lay claim to a greater share of the mobile game market." Nintendo watchers are also optimistic about the company's ability make more money by developing smartphone versions of its treasure trove of classic game titles. "Switch is the big driver for now and the next 3-5 years," video game analysts Jeffries wrote in a recent note. But after that, Nintendo's mobile games business "will become a force to reckon with." "Super Mario Run," the company's first foray into mobile games, broke an Apple (AAPL) record for app downloads in its first few days. But many users complained about the high price they had to pay to unlock all of the game's levels. But Nintendo appears to have learned from that experience as it prepares to roll out a mobile version of another popular game, "Animal Crossing." Thanks to brisk Switch sales and the expectation of more mobile game offerings, gains in Nintendo shares have reached a whopping 75% so far this year. Its shares ended down 0.3% in Tokyo on Monday ahead of the company's earnings report.